Home / Nitrogen Articles / What’s the World Series without Peanuts? 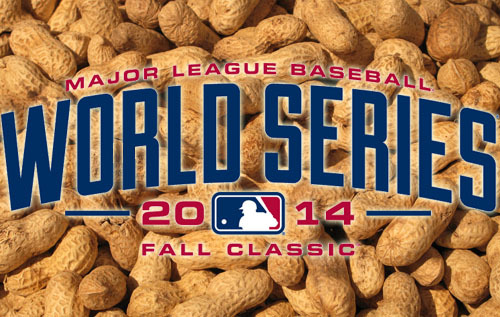 What’s the World Series without Peanuts? Most peanuts sold in Major League ballparks are grown in Georgia and North Carolina. Transporting all those peanuts around North America while keeping them fresh can be a challenge. Oxygen and moisture team up with the natural oils in the product to cause spoilage. And no one likes a spoiled legume. One way to combat spoilage and extend the shelf life of peanuts is to replace some of the moisture and oxygen in the package with a dry, inert gas. This process of changing the atmosphere in the package is called modified atmosphere packaging, or MAP for short. Nitrogen is the gas of choice for this process as it’s much less expensive than other options. Even so, a medium sized peanut packager can spend 10’s or 100’s of thousands of dollars each year purchasing nitrogen from a gas company, making the process cost prohibitive for some. There is an option which can help make the MAP process more cost effective. Companies that use nitrogen generators to produce their gas on site pay 50% to 75% less than a delivered supply. The term nitrogen generator is actually a little misleading. The system, whether it’s based on membrane or pressure swing adsorption technology, doesn’t actually generate anything. Instead, it accepts a supply of compressed air (which is about 78% nitrogen), strips the oxygen, and delivers clean, dry nitrogen. The gas is sent to the packaging line where each bag of peanuts is “flushed” to displace the ambient atmosphere with nitrogen. Not every peanut packaging operation is the perfect candidate for a nitrogen generator. When you work with an expert in the field, however, learning whether your situation can benefit from the technology is an easy process. Compressed Gas Technologies has been consulting food packagers for over a decade and can help you quickly determine if a generator is a good fit in your application. Now that you’re craving the crunch of fresh roasted peanuts, here are some interesting facts to get you ready for this year’s Fall Classic. Notorious bank robber John Dillinger played professional baseball before his life of crime. He never made it to the majors but it’s assumed he would have given Ricky Henderson a run at his stolen base record. Herman “Germany” Schaefer is probably the only player to ever have stolen first base. In a 0-0 tie, bottom of the 9th, Schaefer attempted to get the catcher to throw him out as he stole second and free up a runner on third to score. When that didn’t work the shifty Schaefer, known to pull pranks like bringing a lantern on the field to incite the umps to call a game for darkness, then stole first. Eventually Herman tried to steal second back and was tagged out.